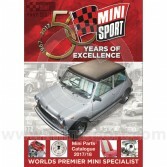 Discover over 9,000 Mini Sport products & parts in our 195 page, full-colour catalogue. The Mini Sport Catalogue is free of charge with every order and lists every product and part range supplied by Mini Sport, the Mini specialists. 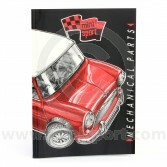 As part of our Catalogue collections, you can also find the Mini Sport Mechanical Parts Catalogue, a guide to all the parts & components used in Classic Mini’s issued between 1959 – 1994.